Danuta Reah, who also writes under the name Carla Banks, is the author of seven crime novels, a novella, and many short stories. In 2005 Danuta won the CWA Short Story Dagger for No Flies on Frank (which was included in the The Best British Mysteries IV anthology published by Allison & Busby in 2006). Her story Glazed , in Getting Even (ed Mitzi Szereto, Serpent's Tail) was shortlisted for the 2008 CWA Short Story Award. Several of her short stories are now available as eBook singles. 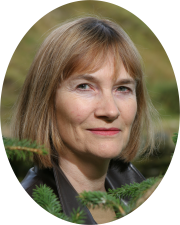 Danuta Reah publishes academic books, valued as resources for the study of language; you can read some articles on language studies here, covering topics as diverse as how the press creates monsters and how to address a thousand year old vengeance demon. She also offers courses in Creative Writing. Danuta Reah is past Chair of the Crime Writers' Association. Latest update: a link to Ben Newsam’s guide to the locations used in Bleak Water . 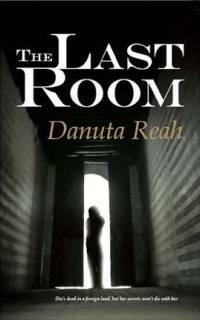 In her most recent book, The Last Room , Danuta's expertise in forensic linguistics shapes the fate of her central character. When Ania Milosz falls to her death in a Polish city, her father, Will Gillen, accepts the verdict of suicide. Ania, an expert witness, was about to be exposed as a perjurer and a liar. Will knows his daughter was neither, but he also knows the terrible burden she carried from her past when her sister was abducted and murdered. He realises there is one thing that may have made her fabricate evidence in a harrowing murder case: after all these years, has she found her sister’s killer, and has the prospect of his release driven her to the point of suicide? Maxim Jakubowski made The Last Room one of his selected titles, and described it as "A dark, psychological thriller about deeply hidden secrets and the aftermaths of death..."
More about The Last Room , including how to buy it.